We all knew the difference what a smartphone carries when compared to a mobile phone. Smartphones are the devices which extended the use to the point that, we are addicted to it. It became the part in our lives and even we sometimes think we are dependent on it, the way how google has changed the scenario of internet. The term ‘augmented reality‘ or AR when used in the context of computer technology refers to what we perceive through our senses (usually sight) enhanced through the use of computer-generated sensory input such as sound, video, graphics and GPS data. Simply put, AR makes available more information for users by combining computer data to what we see in real life. 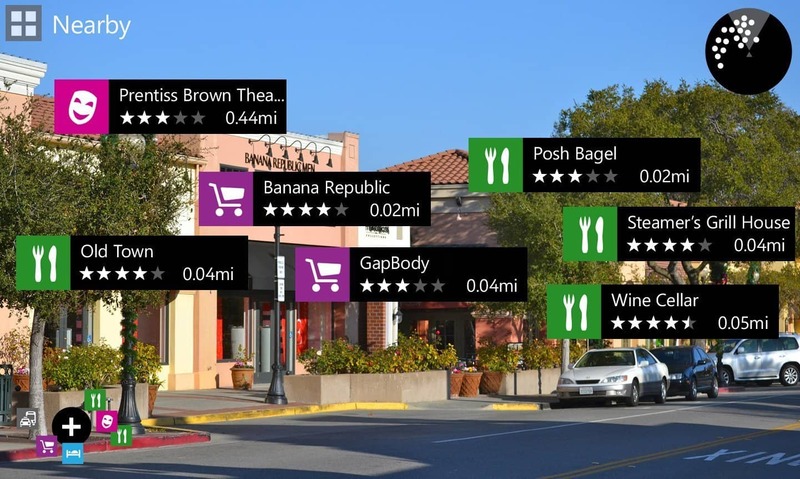 Using the camera on your phone, you can point it somewhere ‘live’ to get an information overlay of where you can find the nearest cafes or dining places. This feature has been used in form of City lenses by Nokia Lumia series. Expect more of such apps to be made available in the market in the years to come. It seems that the primary limiting factor is the limited recognition accuracy for ‘live’ views when we point our camera lens at places, buildings or even people. For AR to work seamlessly and reliably, the technology for recognizing places, things or people must be of a certain standard. If flexible screens are not enough to compensate for the small screens on smartphones why not integrate a projector within? 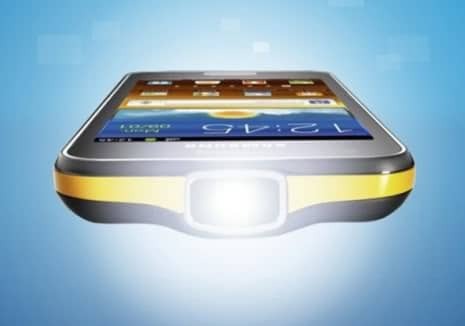 Samsung Galaxy Beam was released back in the second half of 2010. It features a built-in DLP (Digital Light Projection) WVGA projector that is able to project future-features-smart-phones/ at up to 50 inches in size at 15 lumens. What good will this do? Well, for one thing, future smartphones can actually be turned into an interactive gaming consoles without a need for a TV screen; all you’ll need is a flat surface. Instead of a physical controller, you can use your body or your voice. Similar to Kinect, a smart camera and a voice control function can capture your movements and voice commands to let you interact with objects and future-features-smart-phones/ on the projected screen. Of course, you can imagine the drainage rate on your smartphone’s battery life and there’s also the other issue with luminance i.e. the amount of light it outputs. In-built projectors for smartphones must be small, and as the paradox sits: the smaller the projector is, the lesser light it will be able to give out. With better technology though, issues such as these will be addressed in time, making projectors a part of a new experience you can now engage with your smartphone. Voice control has been receiving much attention since Siri made headlines. Voice control has existed in many earlier mobile phones even though the voice recognition function was crude at best. Research has been made to advance the development of voice control, but it has proved to be a paramount task. Siri might have signaled a breakthrough to the way voice control and recognition programming ought to be made. Instead of recognizing commands via sound waves like most voice-recognition systems, Siri interprets diction and syntax in a similar fashion to how we recognize speech. Such Natural Language User Interfaces prove to be more effective and accurate. Smartphones may have already reached the peak for their screen resolution with Apple’s ‘Retina Display‘, which actually provides a resolution that is sharper than what the human eye can perceive. Yet, even then, we still want more. Mobile companies are now moving from 2D future-features-smart-phones/ to 3D future-features-smart-phones/ for the smartphone screen. At present, we have a couple of 3D smartphones in the market, such as the LG Optimus 3D, the Motorola MT810 as well as the very first Samsung AMOLED 3D. So what happens after 3D? Well, the next path could possibly be holographic projections. In essence, holographic projections will mean a combination of 3D future-features-smart-phones/ and projections from the smartphone. According to Mobiledia Network, MasterImage 3D had previously showcased their ongoing development on a projection system that allows smartphones to display 3D holograms at the annual Mobile World Congress last February. 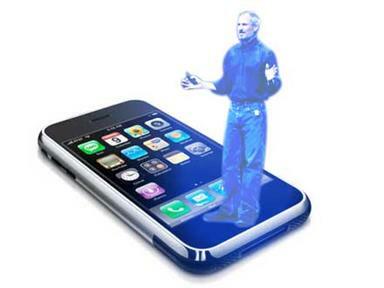 If you want to talk about the potential of holographic projections in smartphones, it’s great. 3D displays can be integrated with elements of movements when it comes to user interactions with the phone. For example, you can resize your photos by using your hands to ‘pull’ or ‘compress’ the holographic photos that appear in front of you, move objects by ‘grabbing’ them from one place to another, etc. If you’re a fan of Tom Cruise’s ‘Minority Report’, this would be your dream come true. Can these things can come true? It’s exciting to expect these features in our future smartphones but I wonder what it will take for us to get there. I’m talking about the price we may have to pay in exchange for such awesome features in our smartphones. Apart from that, there is also the other issues that can work up a storm: must our privacy be compromised for augmented reality to work at its fullest potential? Can marketers exploit our private details to obtain otherwise inaccessible data about us, our likes and preferences? Also, with so much incorporated into our smartphones will the case of total dependence of the user on their mobile devices be a problem? 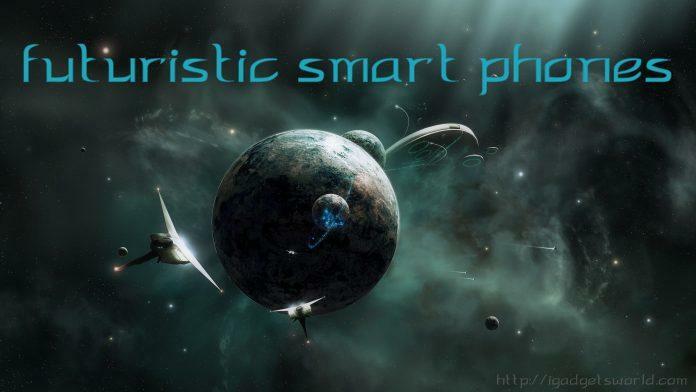 Everyone is waiting to see what the smartphone industry can offer, and how the masses will react to the emergence of new and better smartphones along with the multitude of issues that come with each technology that is introduced to public use. I’m very curious to see how things will unfold, are you?